VapeOnly Arcus Battery is an portable device with built-in 900mAh high quality lithium battery. It supports max 17W output and no less than 0.3ohm atomizer. 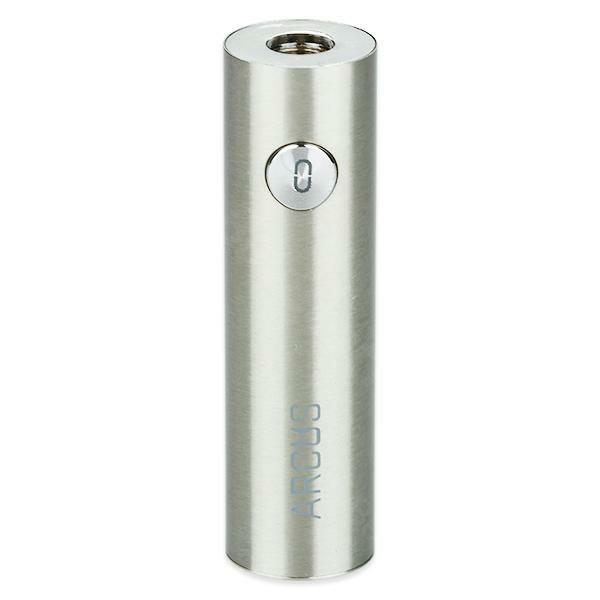 VapeOnly Arcus Battery - 900mAh, is an portable device with built-in 900mAh high quality lithium battery. It supports max 17W output and no less than 0.3ohm atomizer. With the indicator light, you can know the status of the battery easily. • Support over 0.3ohm Atomizer/Tank. 드바루 16mm용으로 구입한 제품 길이도 짧고 휴대용으로 아주 좋습니다. Die Lieferung ging schneller als angegeben war. Die Verpackung war nicht beschädigt und im guten Zustand. Alles wie VapeOnly im Angebot beschrieben war. VapeOnly Arcus Battery - 900mAh is small enough to be kept in my pocket.